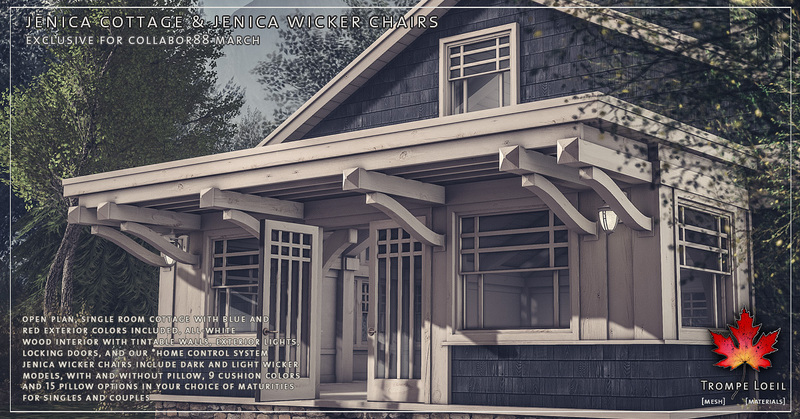 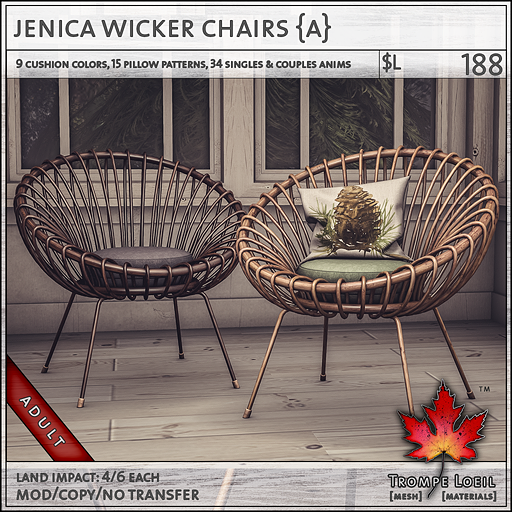 We firmly believe there’s no such thing as too cozy – our Jenica Cottages and matching Wicker Chairs for Collabor88 March showcase the comfort of timeless classics! 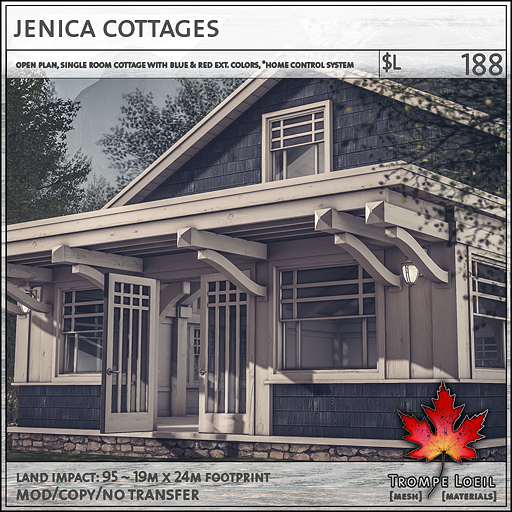 The Jenica Cottage is an open floor plan, single room cottage with extra high ceilings and a gorgeous all-white interior with subtle texturing, a perfect backdrop for your most favorite decor. 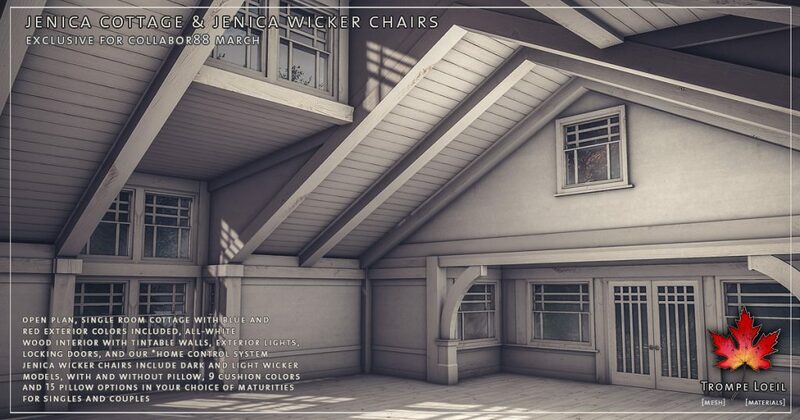 Walls tint easily too – make it your own! 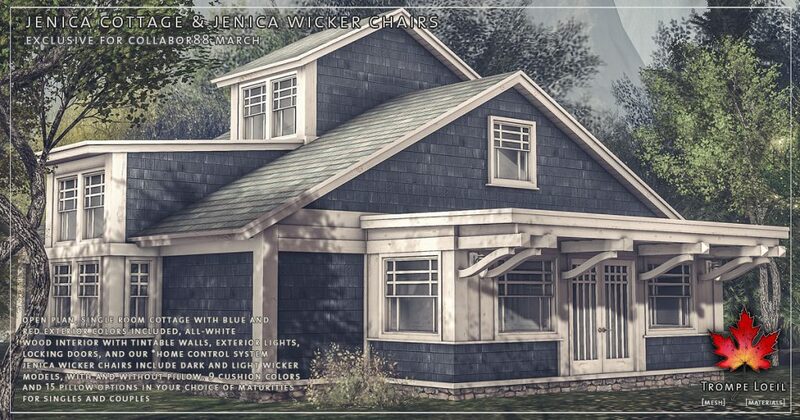 Privacy windows, exterior lights, our *home control system, and blue and red exterior colors are included. 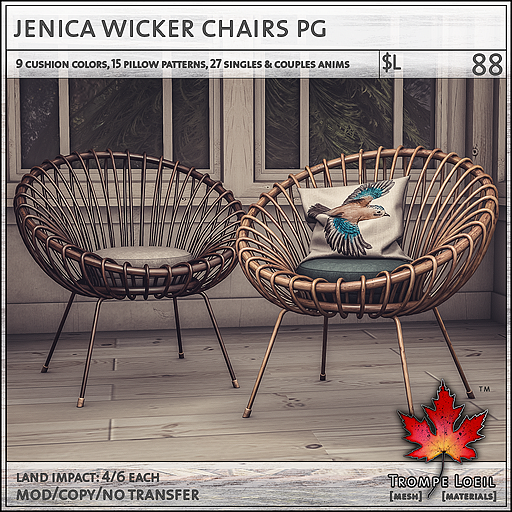 Plus, the Jenica Wicker Chairs are a light and airy take on the classic papasan model, with two versions (plain and pillowed) and two colors (dark and light) included, plus plenty of colors and pillow patterns for mixing and matching! 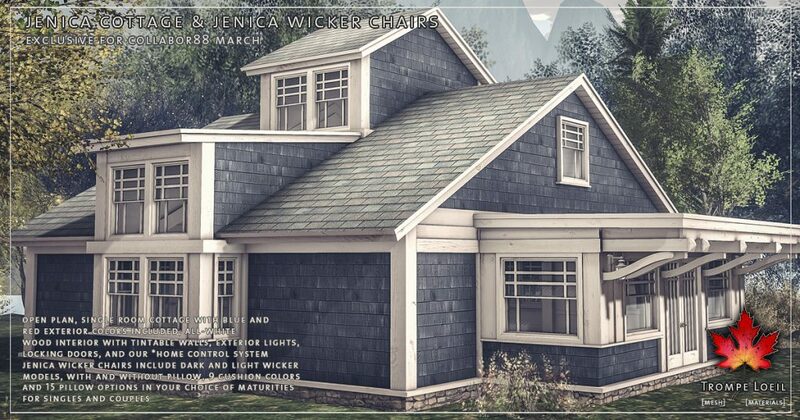 Available in your choice of maturities for singles and couples. 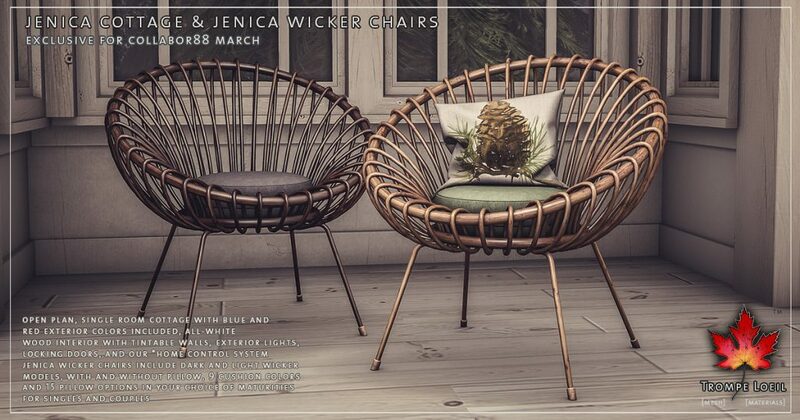 Only at Collabor88 March!